Custom actions in the cloud. ServiceDesk Plus is now programmable, offering flexibility to your ITSM! Flexible ticket management. Make ITSM work your way! 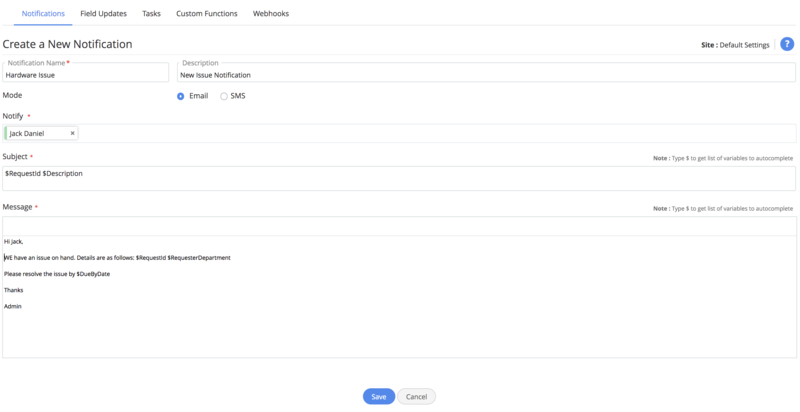 Configure custom actions, including notifications, tasks, and Webhooks. Use triggers and business rules to execute custom actions on tickets throughout their life cycles. Define custom email and SMS notifications. Trigger tasks for technicians on service desk tickets. Use Webhooks to call external URLs and APIs from third-party apps. Unrestricted extensibility. Script your own functions. Program custom functions using Deluge. Convert complex business logics into simple automations using the drag-and-drop Deluge script builder. Invoke custom functions based on ticket parameters by defining business rules and triggers. Enhanced business rules. 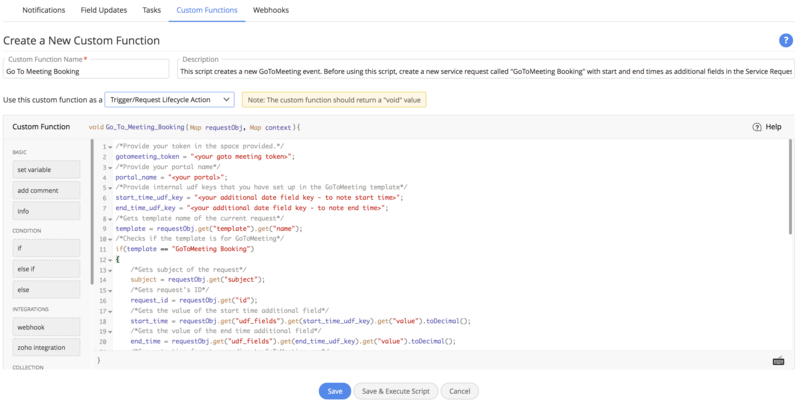 Extend your request handling capabilities. 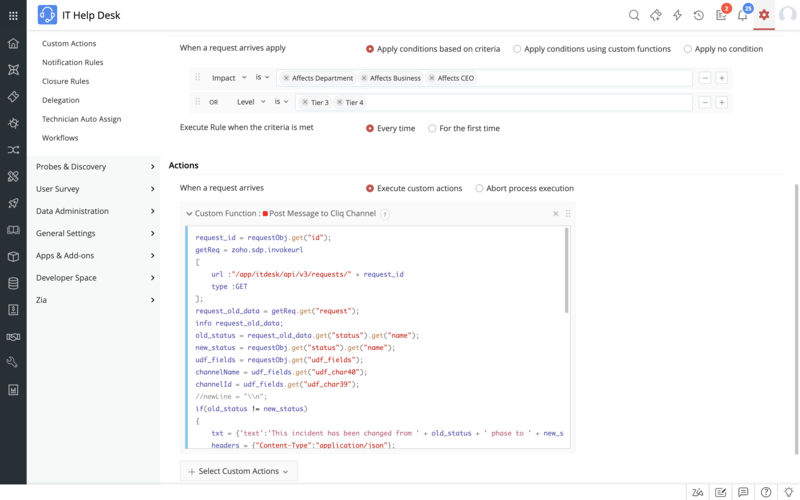 Execute actions such as updating fields, triggering notifications, and customizing functions based on incoming ticket criteria. Apply business rules on tickets with custom functions as the execution criteria. Prevent any actions or process executions on tickets wherever necessary. One of the key things that we like about the problem management module is that if you have 100 incidents, you can close the problem and it will shoot the closure notification for each incident. I think that's awesome.